The president and CEO's successor resigned after violating the company's code of conduct only six months after getting the job. Rich Templeton is getting a $60,000 raise as he steps back into his role as CEO after following the abrupt resignation of Brian Crutcher. Crutcher was named to the top seat from Templeton, who had been CEO for about 14 years, in January and took his position in June. But on July 17, TI sent out a statement announcing Crutcher’s resignation due to “violations of the company’s code of conduct.” Templeton, who recently had been serving as the company’s chairman, reassumed his roles as president and CEO on a permanent basis. Templeton, 59, will get an annual base salary of $1.25 million, compared to $1.19 million the previous year, according to a document filed with the SEC on Friday. The filing also said that the “remainder of Templeton’s compensation remains unchanged. In 2017, Templeton also was paid $11 million in equity compensation. He owned 333,615 shares of stock and 609,392 in restricted stock units. 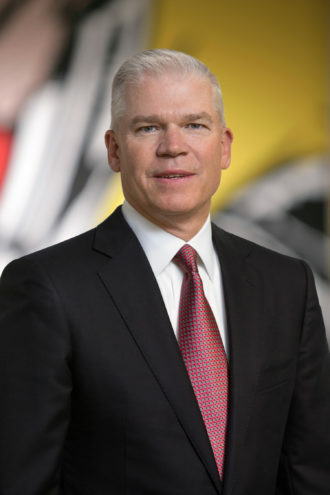 We’ll see if there’s any further mention of the leadership transition during the company’s second-quarter earnings call on July 24.